After a long day, my favourite thing to do when I get home, is have a bubble bath, get into my pyjamas, bring out my book and open up a slab of Cadbury Dairy Milk Bubbly … I don’t know why, but this makes me the happiest and the bubbliest (no pun intended) because you know how much I just love my chocolate. Chocolate is my middle name (that’s how much). 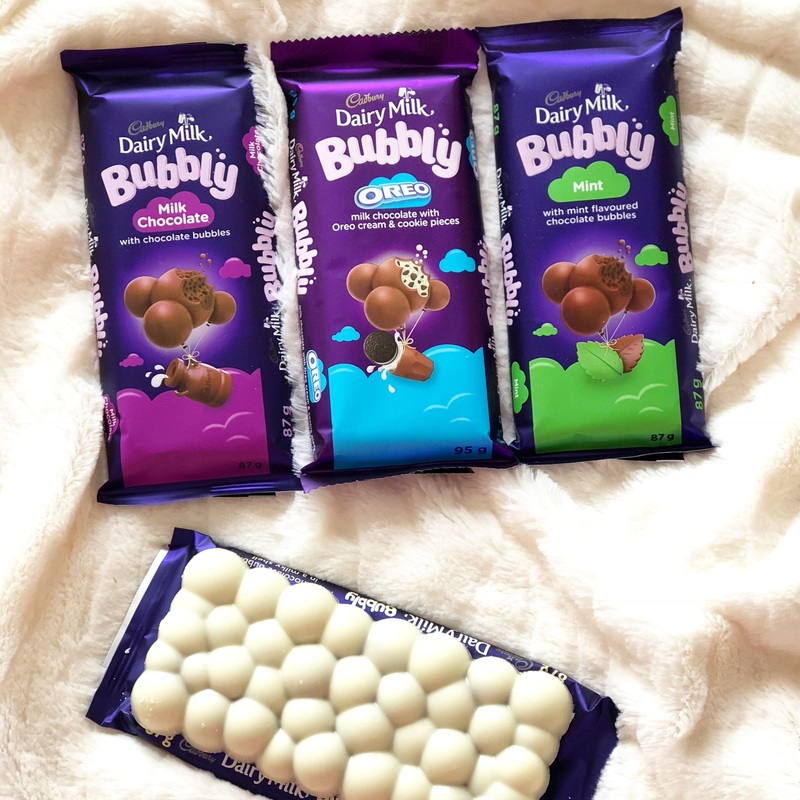 South Africa’s much loved aerated chocolate, and one of my absolute favourites, Cadbury Dairy Milk Bubbly has a new look. 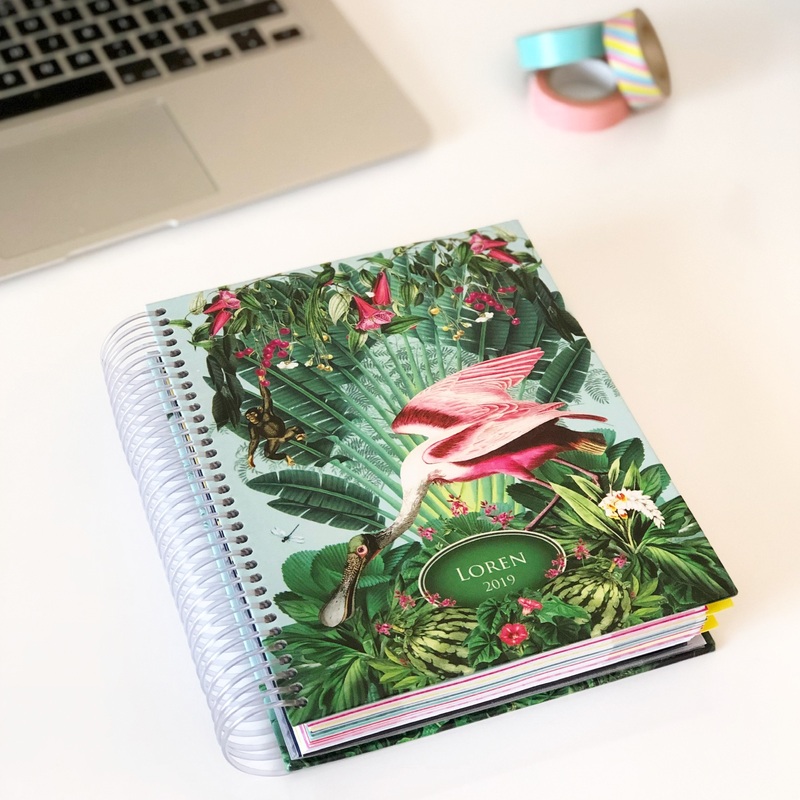 It’s refreshed, vibrant new wrapper brings out the bubblified fun. The new look with a trendy colour palette definitely stands out from the rest and surely does pop out on the shelf. Besides for the fact that Cadbury Dairy Milk Bubbly is chocolate (duh! ), I love the way it melts in your mouth and creates a real melt-in-your-mouth moment with its smoothness and creaminess. Would you like to win all four Cadbury Dairy Milk Bubbly and R1000 cash? So that’s all it takes to stand the chance of winning all four slabs of bubbliness and R1000 cash. The giveaway will run until Monday 18th June where I’ll announce the winner in the morning. I #GetBubblified by having a bar of Bubbly near me 99% of the time. My favorite is to have it with a cup of tea. I get bubblified by relaxing in the sun with a great book and some delicious choccy! I #getbubblified after a long days work by pouring myself a glass of wine and indulging in some Cadbury chocolate…instant stress reliever!!! I #GetBubblified by watching Sofia the first with my daughter while snacking on Bubbly Oreo 💜 it’s crazy really after one bite we feel like we are apart of Sofia’s adventures. I #GetBubblified when I sneak away some Milk Chocolate into my room when my baby is finally sleeping and I enjoy the silence while my little 3 month old snoozes away . 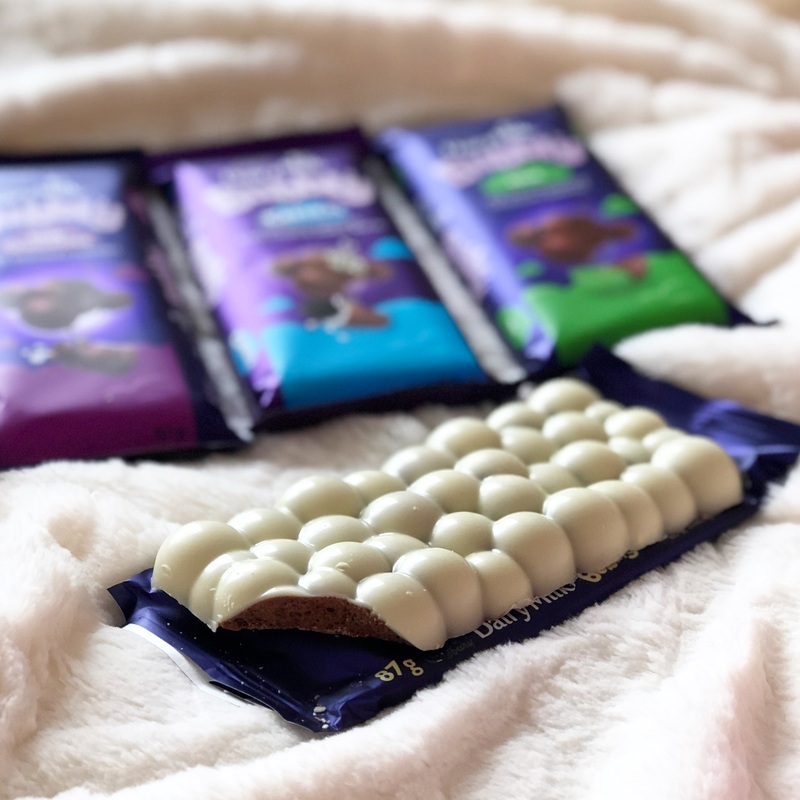 As a certified choco-holic I #GetBubblified and indulge in my favourite cadbury choccie after a long hard day and let that smooth, velvety goodness melt my troubles away. I am never without a stash and always have my favourite bubbly on hand!!! Yum yum yum! 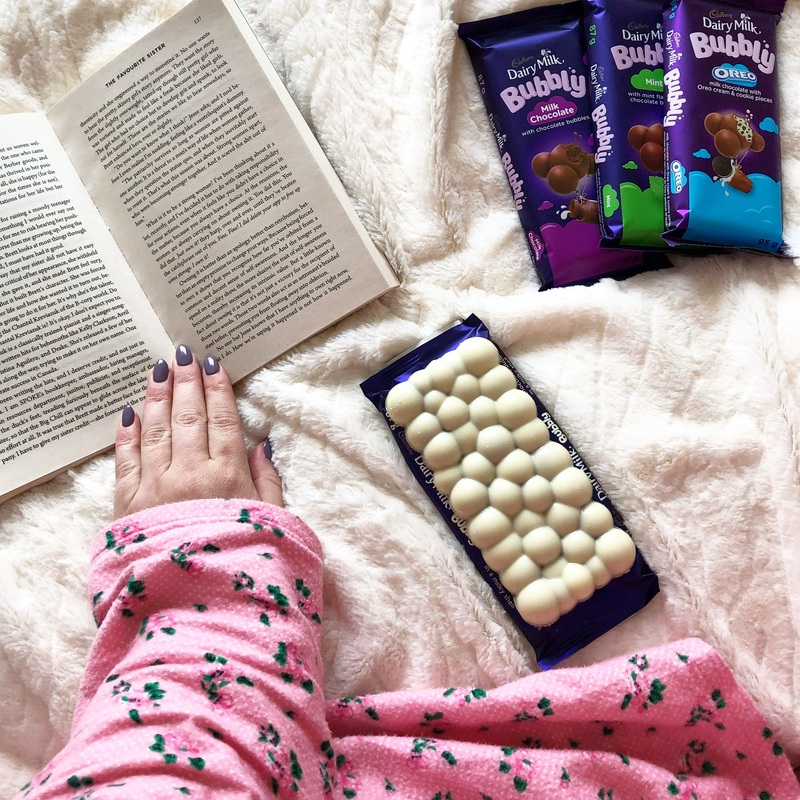 I #GetBubblified when my baby girl goes to sleep at night and I get to chill with my favourite book and of course my Oreo bubbly chocolate. Bliss! BEST way for me to get bubblified is after work, sitting down with my fur baby enjoying a glass of red wine a Cadburys Milk Chocolate Bubbly; match made in heaven! 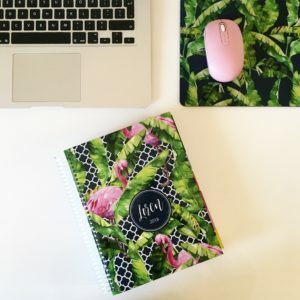 I GetBubblified by sitting in my garden , surrounded by fragrant flowers, chirping birds, butterflies, indulging in my delightfully delicious Bubbly Mint Chocolate treat. I have to wait until my boys fall asleep, otherwise I have to share my delicious bubbly with them. So when they finally do sleep, I #GetBubblified by relaxing in bed, with my original bubbly, which will always be my favourite although I love them all. And watching my favourite series. Please make a fellow chocoholics dream come true. I #GetBubblified by using a slab of Cadbury’s chocolate as a rusk! I cuddle up in bed with a book, some chocolate and a mug of coffee, then dip the slab in the coffee so the chocolate melts. It sounds weird but it’s one of the best ways to eat chocolate. 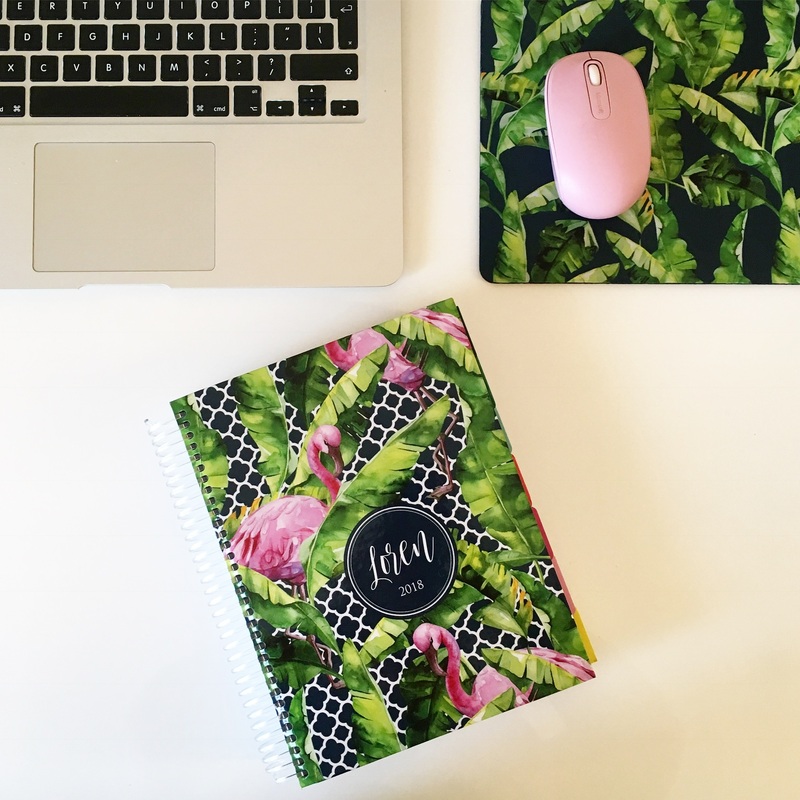 A day spent relaxing in my bed, watching YouTube videos is my definite #GetBubblified moment. And with an indulging treat like a Cadbury dairy milk bubbly just completes the moment. 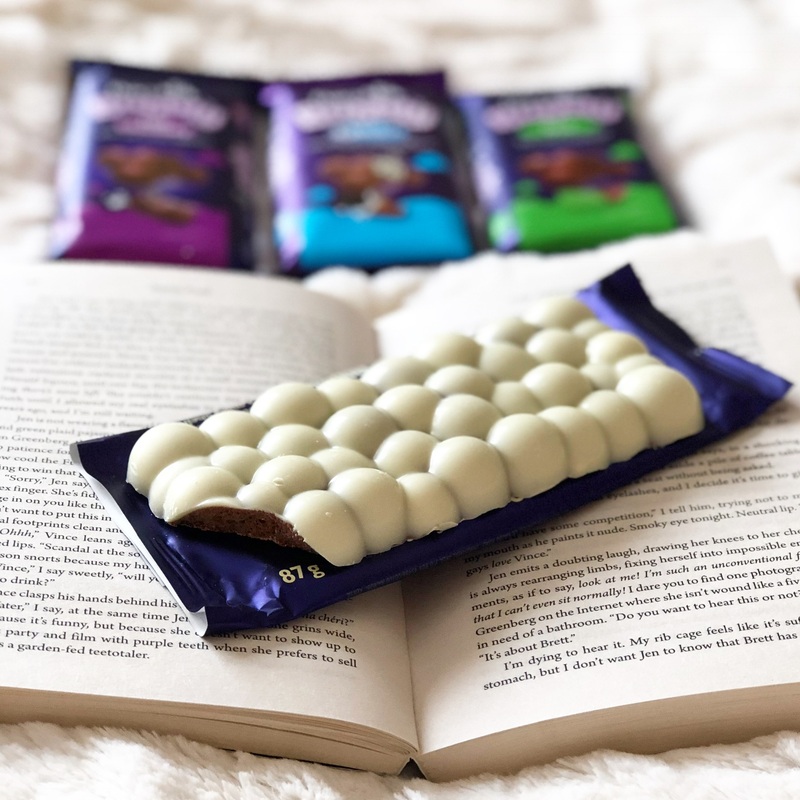 I #GetBubblified by taking time out to watch a movie and enjoy some bubbly chocolate, popcorn and coffee along with it. I get bubblified by ordering a big fat pizza, getting my boyfriend to come over with Bubbly chocolates (and some other bubbles too 🥂), we grab all the fluffy blankets and pillows we can find, create the comfiest place on the bed and pig out why watch our favorite movies and seeing who gets the first line wrong 😄 It’s like having a grown up sleepover with my best friend! I get #GetBubblified with that extra glass of champagne leading to slow dances with Jono like no one is watching, afternoon naps on the couch, hot chocolate made with real chocolate and a good movie . The little secret pleasures! 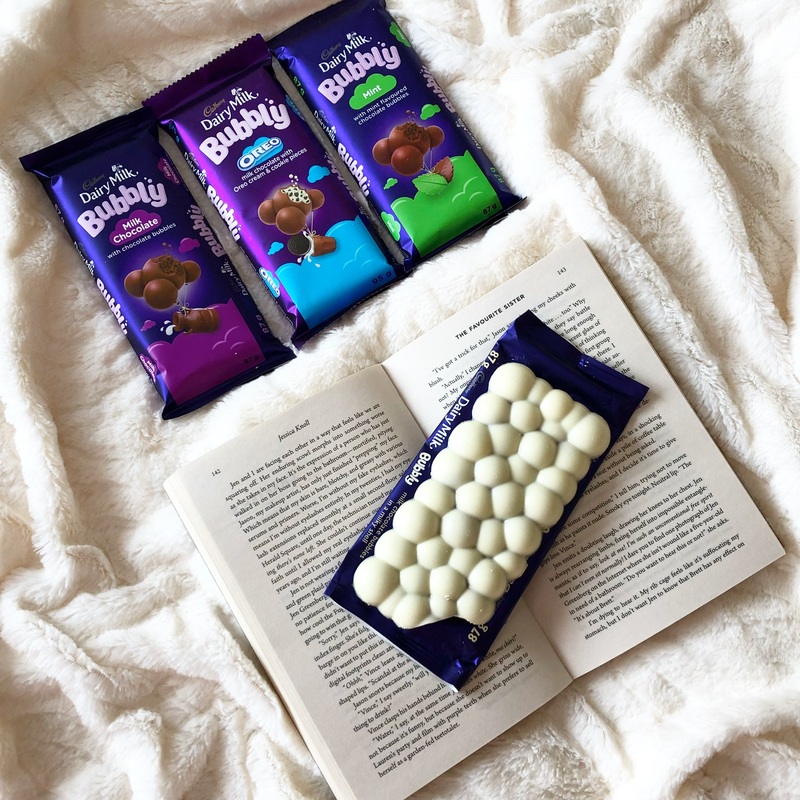 #GetBubblified when I’m alone and I’m listening to great music in my ears with savering every bite of Cadbury Bubbly chocolate,it’s like floating on a bubble somewhere out there with the tune of my favourite artists carrying up up and away! I get #GetBubblified with a top dek bubbly and a cup of vanilla tea. Might sound weird to some but I love it! #GetBubblified I love my bubbly at bedtime while watching movies. Such yummy bubbles in a milky shell.